Known in the industry as a prominent manufacturer and supplier, we are engaged in offering Ribbon Blender. Ribbon blender comprises of a U shaped horizontal trough and a specially designed double helical ribbon agitator rotating within. Based on a proven agitator construction that provides a triple mixing action, ribbon blender ensures fast and efficient blending with high safety and reliability. Clients can avail from us Multi Shaft Mixer, as we are a leading manufacturer and supplier of multi shaft mixer. 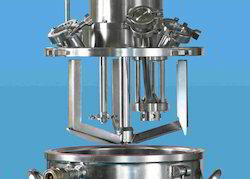 Multi shaft mixer comes in dual and triple shafted designs, making the mixers extremely popular among the food, pharmaceutical, personal care and cosmetic industries. Mounted on stand alone tanks, multi shaft mixer is designed with customizable helix and scrap surface agitators, propellers and foil blades. We are a leading manufacturer and supplier of Double Cone Blender. 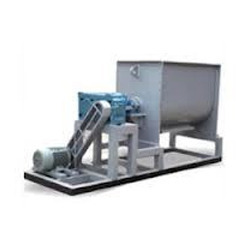 Double cone blender is used for mixing dry powder and granules homogeneously. 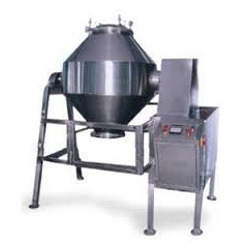 Designed with a cylindrical shell with two conical frustums provided with openings for charging and discharging, double cone blender comes with contact parts manufactured from superior grade stainless steel and is widely utilized in pharmaceutical, food, chemical and cosmetic industries. Looking for Blender and Mixer ?